DAVID CAMERON HAS reiterated his belief that providing a legislative solution on press regulation would be a “mistake” for the UK. At a hastily-called press conference this morning, the Prime Minister outlined why his party want to see a Royal Charter implemented in response to the damning Leveson report. He said he wants to establish a system of strong self-regulation, including one million pound fines and a proper complaints procedure, while still keeping a free press. Details of the charter to provide for a tougher press regulator will be published on Monday. Quoting Winston Churchill’s statement that the media is a “sleeping guardian…the greatest foe of tyranny”, Cameron said he believes there are real dangers to having detailed statutory press regulation. The briefing on the Royal Charter came as talks between parties broke down this morning. Both Labour and the Lib Dems believe the plans give the press too much discretion over their own regulation. Hacked Off, the campaign group for those affected by recent hacking scandals, also said the PM’s statement “shows that he’s still protecting his friends in the press and betraying press abuse victims”. Judge Leveson had recommended a new independent watchdog, adding that the office should be strengthened by legislation. The Conservative leader said he has decided to bring his solution to parliament on Monday for a vote. 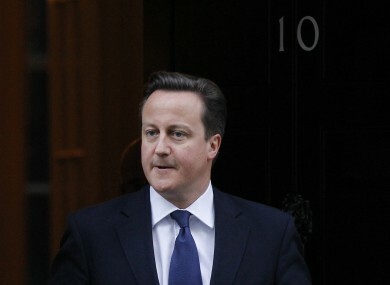 It is unclear if the proposal will pass but Cameron said he was choosing action and leadership by ending talks. He defended his position in the face of questions that victims of phone hacking would not be satisfied with a self-regulated press. Cameron said his was the “fastest possible way to deliver the strong self-regulation body that Leveson proposed that can put in place million-pound fines, prominent apologies and get justice for victims”. Earlier today, Scotland Yard said it was questioning four journalists or former journalists in relation to a suspected hacking conspiracy at the Sunday Mirror newspaper during 2003 and 2004. Email “David Cameron under pressure over press regulation”. Feedback on “David Cameron under pressure over press regulation”.